The Gallery @ NPR Illinois is in the studio complex and facilitates listeners engaging with Illinois art. 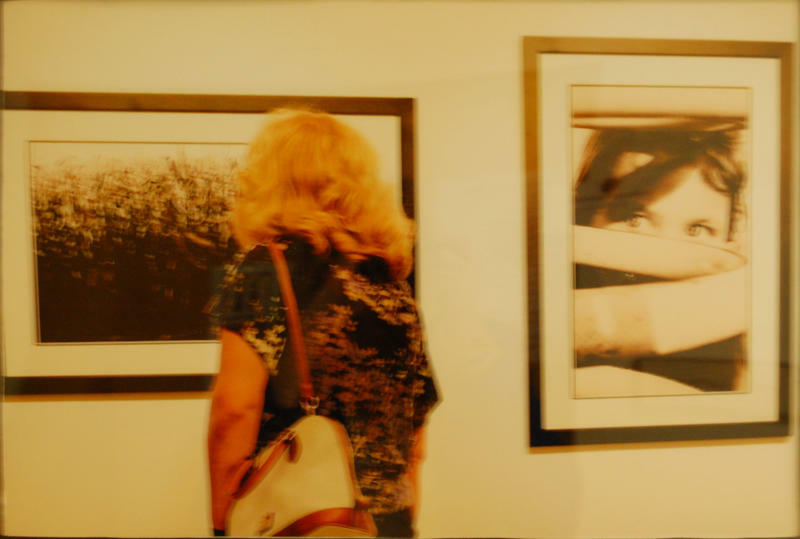 Additionally, artists works from each exhibit are digitally captured and posted here and shared with other public radio stations. Each exhibit kicks-off with an opening mixer where listeners are invited to attend and refreshments are provided. 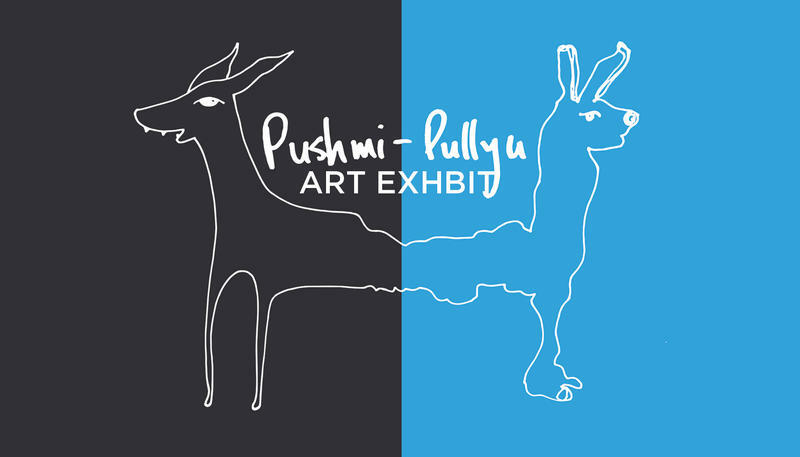 Each exhibit is open for viewing for a few weeks after the opening during business hours: weekdays 8 AM - 5 PM. Viewing by appointment can also be arranged by contacting Carter Staley. Many newsmakers come through the studios to be interviewed on-air and see the art during an exhibit as do attendees for other events like Live at the Suggs. 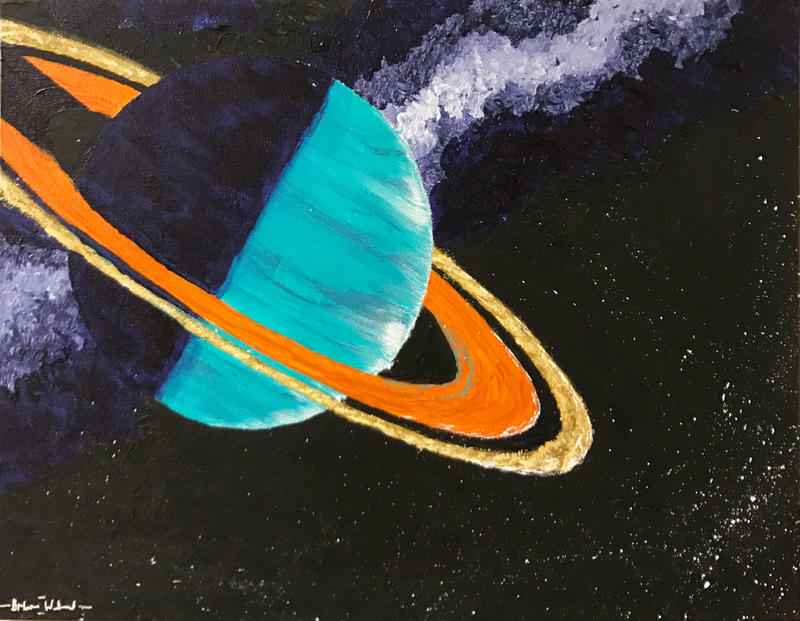 To participate in a future exhibit or stage one of your own, click here to submit your art exhibit idea. 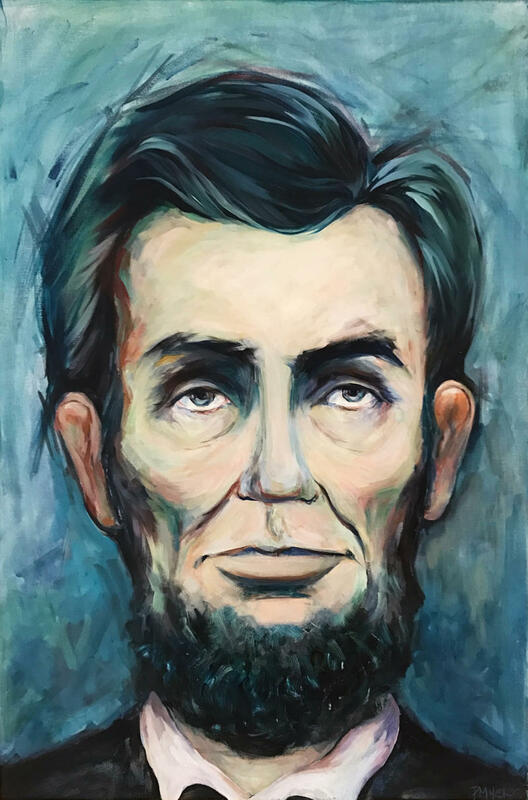 Are you an artist in the Central Illinois Area? 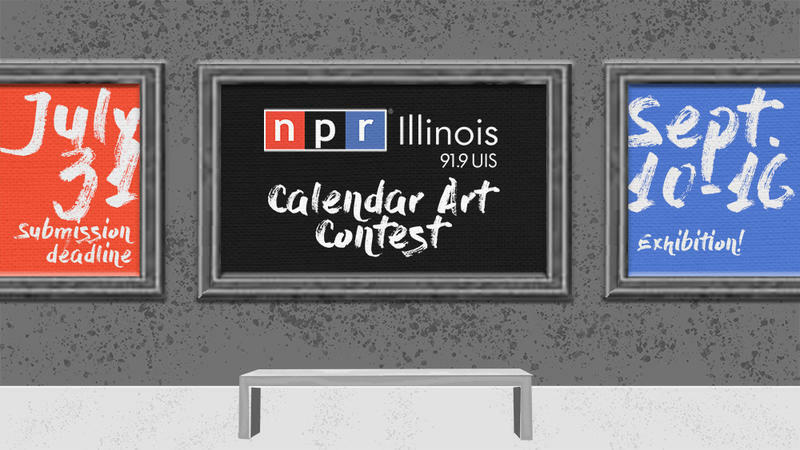 NPR Illinois is seeking talented, local artists to participate in the 2018 Calendar Art Contest! 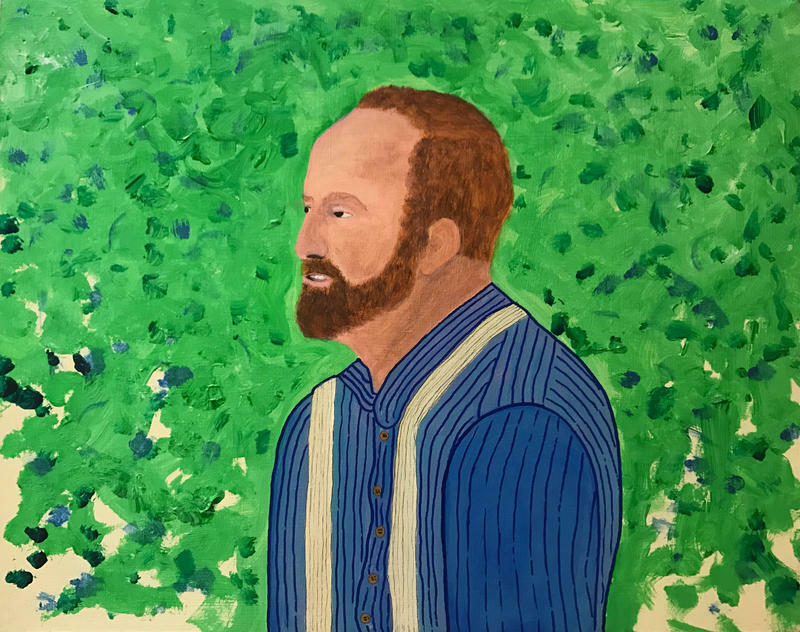 Artists can use any medium for their works, but your piece must somehow explain some element of the State of Illinois (and hopefully NPR Illinois). 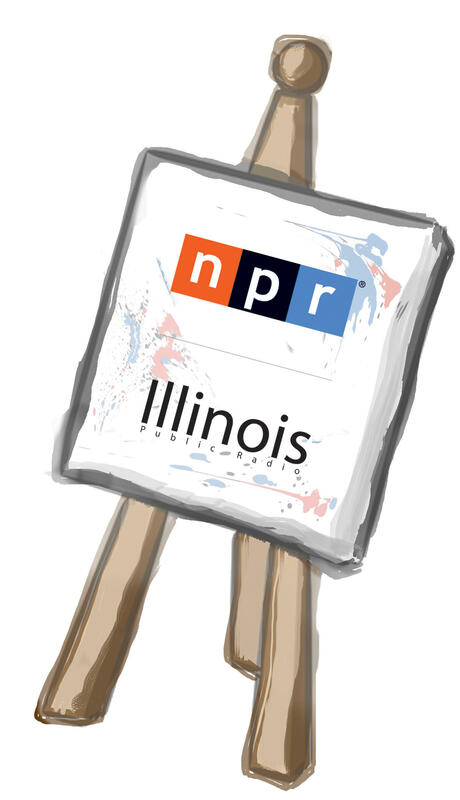 NPR Illinois will host a letter-writing station throughout the month of April, which will lead to this reception. 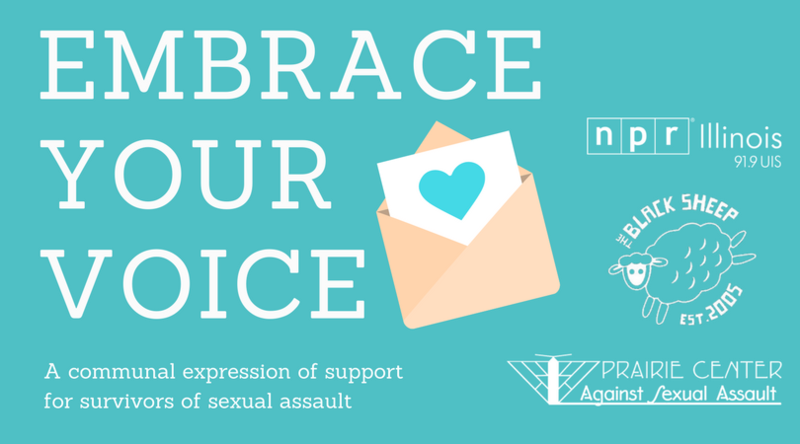 The public is asked to contribute "survivor love letters" - anonymously written and addressed in support of those who have survived sexual assault. This will result in a community art exhibition of the letters at the gallery in the NPR Illinois station. 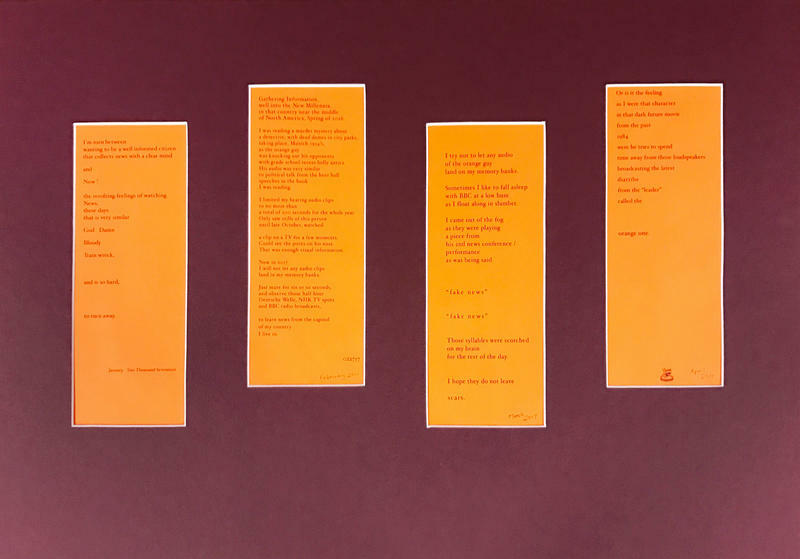 Together in this exhibit, named after a fictional two-headed animal, Kim Caisse and Kristin Diehl exhibit individual and collaborative pieces. 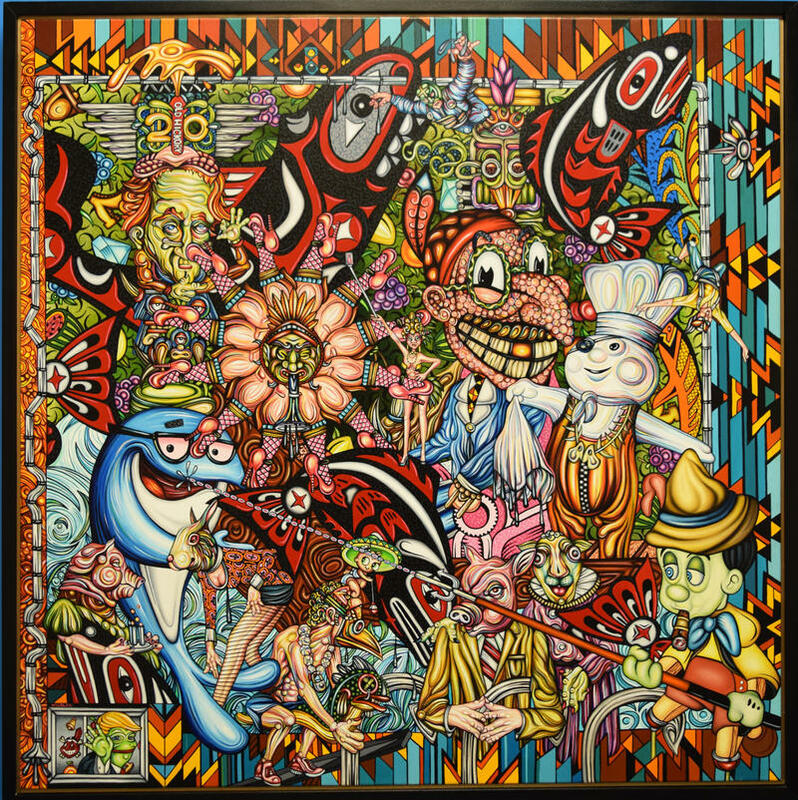 Some collaborations are made with full intention and awareness of each other’s contributions, and some with an element of surprise. 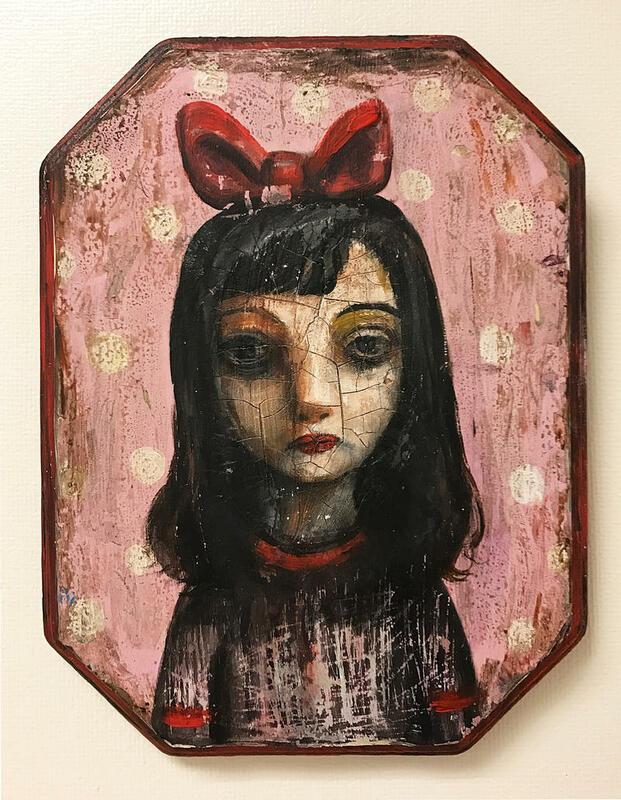 Kim and Kristin work in mixed media, sculpture, wood, fabric, contour line drawings, sculptural weavings and found objects. 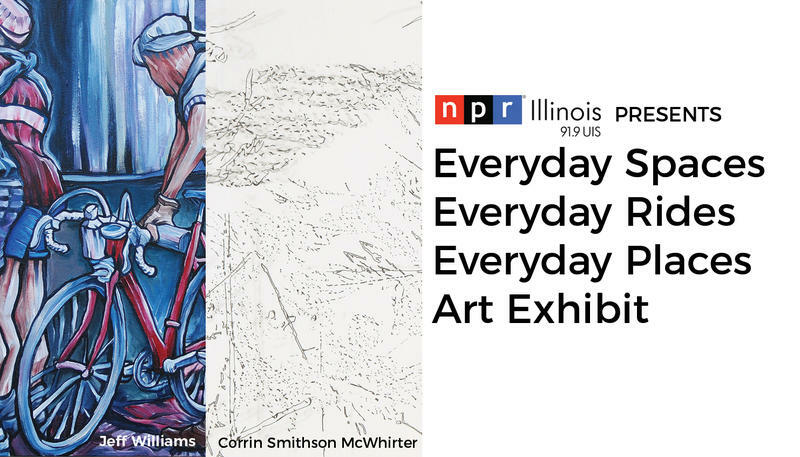 The NPR Illinois Gallery will exhibit the works of two Springfield Artists: Jeff Williams and Corrin Smithson McWhirter. 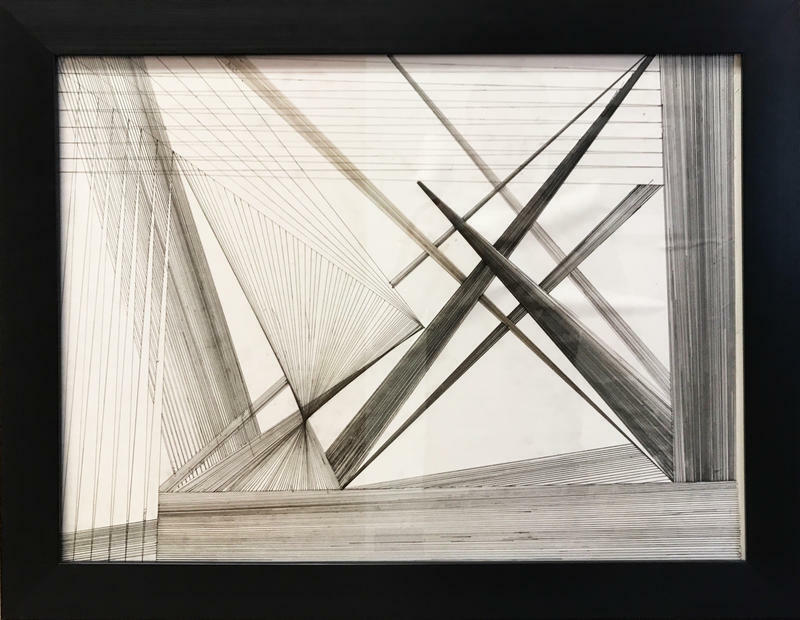 Their art re-evaluates and draws attention to our overlooked surroundings. 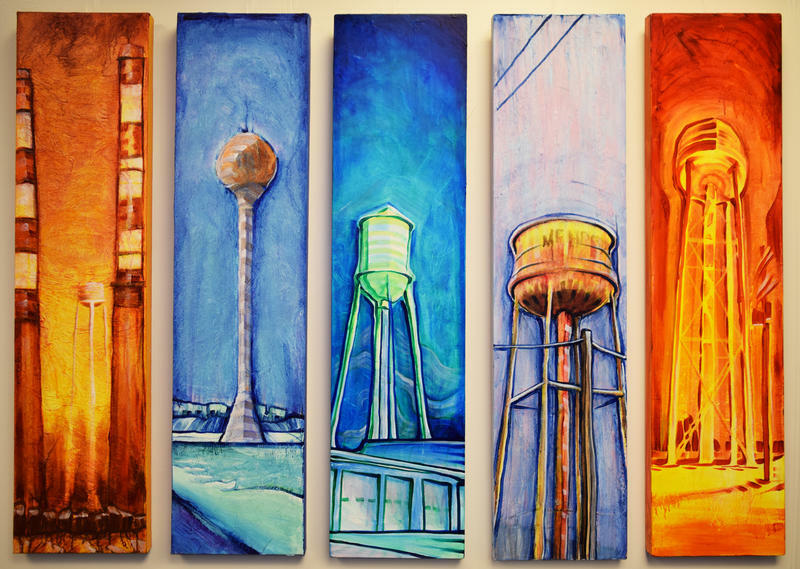 Title: The Water Towers Still Stand... Now How Does The Life Blood Come Back? 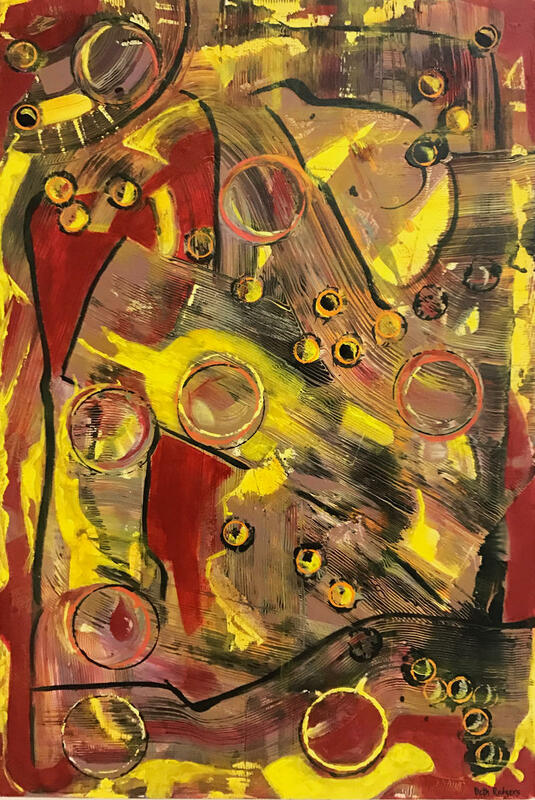 Title: "The Orange Show, The First Four Months"
Title: "LockUp & DrainSwamp Tent Card"
Narrative: I was surprised and dismayed when I found out my friend was voting for Trump, but I still wanted to paint his portrait and, more importantly, he is still my friend. 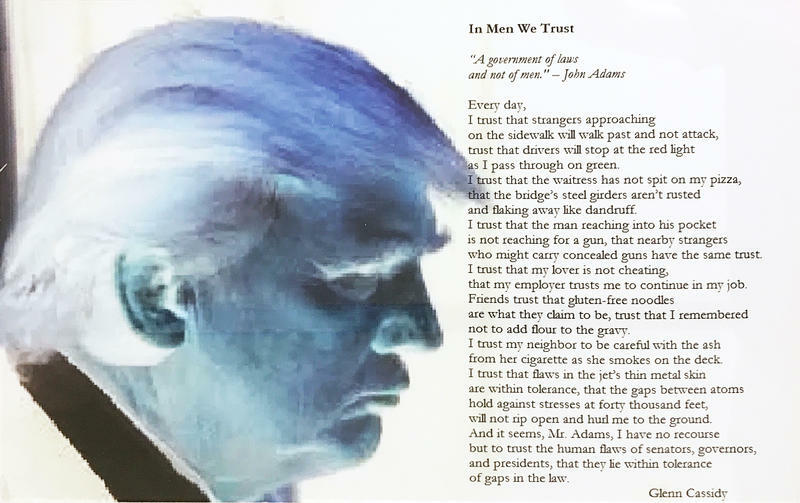 Narrative: “Donald and Friends” was created to show my dissatisfaction with the present Trump administration and the course he is guiding America now. 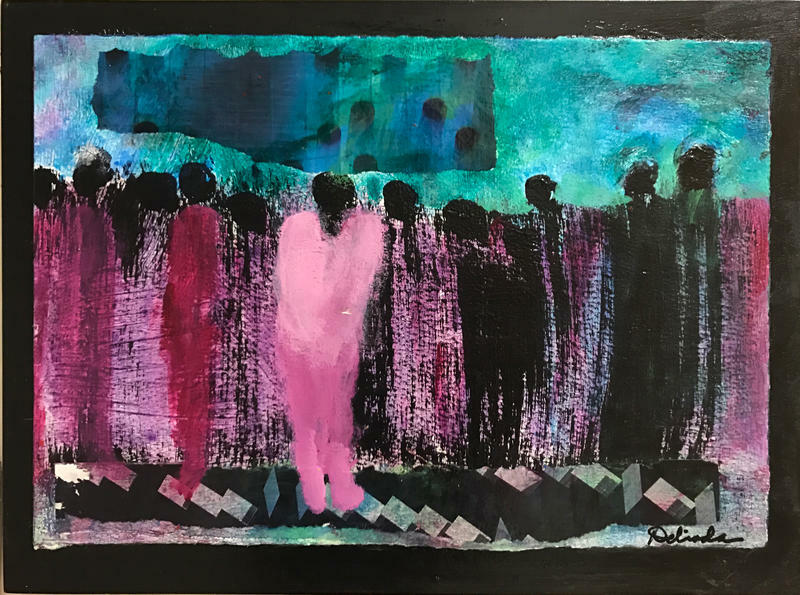 Title: "Portrait of Nawar al-Awlaki"
Narrative: Given the war on science currently in the new administration, it is important for us to take a moment and remember its beauty. 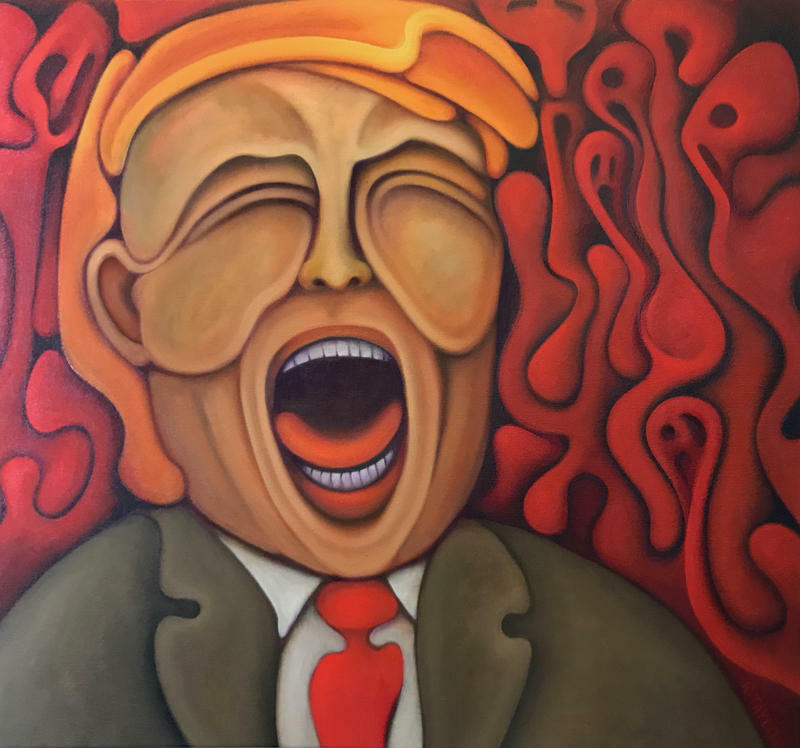 Narrative: A portrait of Donald Trump screaming in harmony with faces in flame. A reminder of the pain our society is feeling in harmony with presidential decree. Narrative: It’s not so much a slight on a particular president’s hand size, but the standard by which we should go by. Unfortunately, President Trump and his administration don’t appear to have any standards at all. Narrative: I am a photographer out working every day. These two are from what I have noticed so far. -J.H. Narrative: When change comes, we often resist, unsure how it will affect us. Instead of seeing this as shattering, these lines, drawn over many hours and days are meant to show depth and beauty. Sometimes we don’t know how things will turn at the beginning, but often there are clues if we look for the shape between the lines. Narrative: “4 Legs are Better-Keystone” reiterates the Animal Farm story by George Orwell. The trial of tears launched by Andrew Jackson relocated native Americans to the region of Oklahoma in 1839. Stereotypes of Indians are masqueraded in various memes throughout the work. Forced into a life not known to the native people they struggle in a white man’s world with casinos, salmon farms and their connection with nature left mutated by the Keystone pipeline. 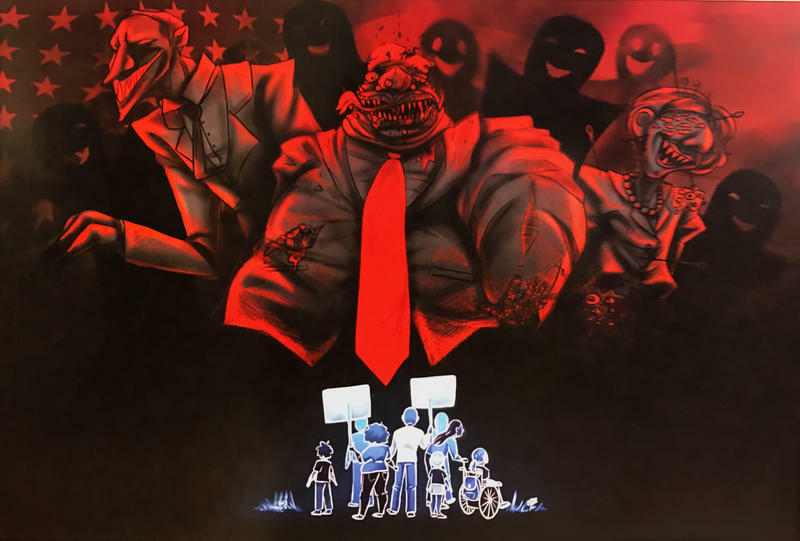 We spoke with two artists to find out more about their works. The two are a couple who live in Springfield. 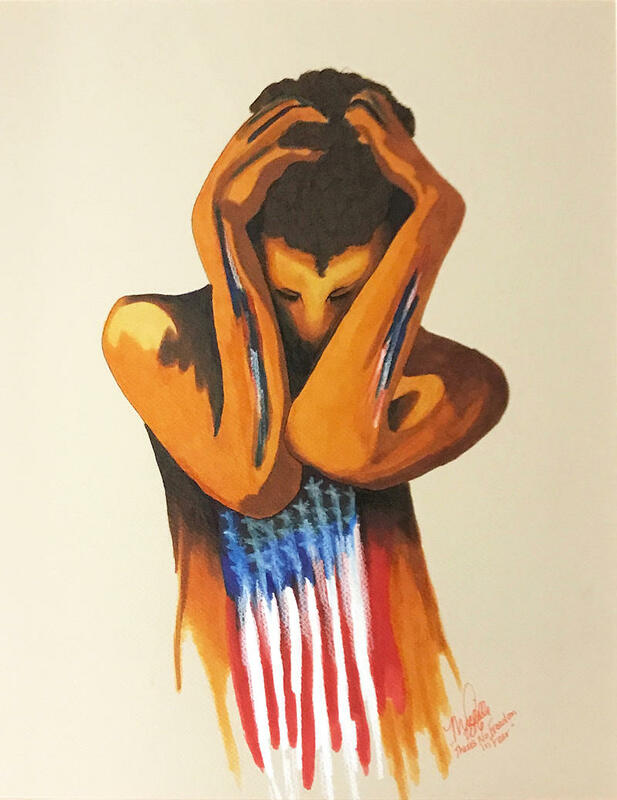 Narrative: This painting grew from working with the word immigration. 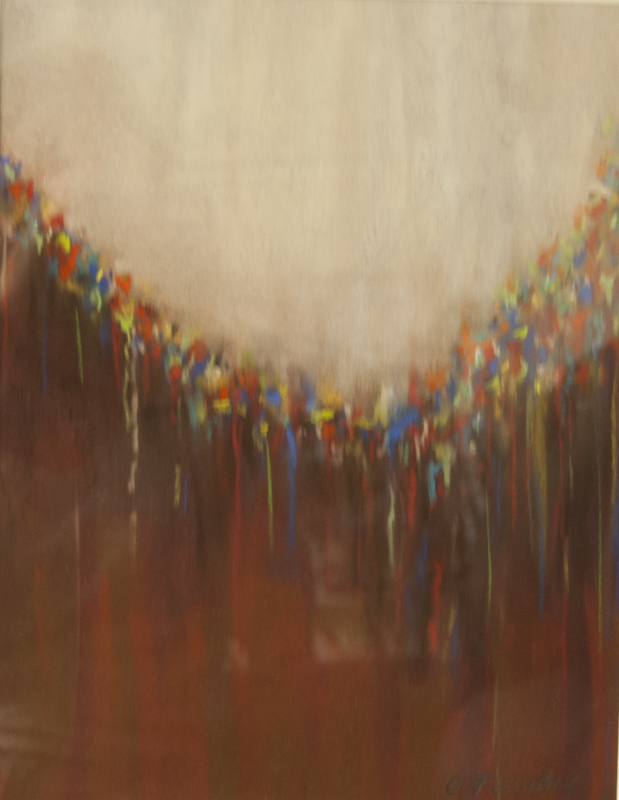 The end result, stemming from my feelings about immigration, is this painting - the first in my series on immigration. 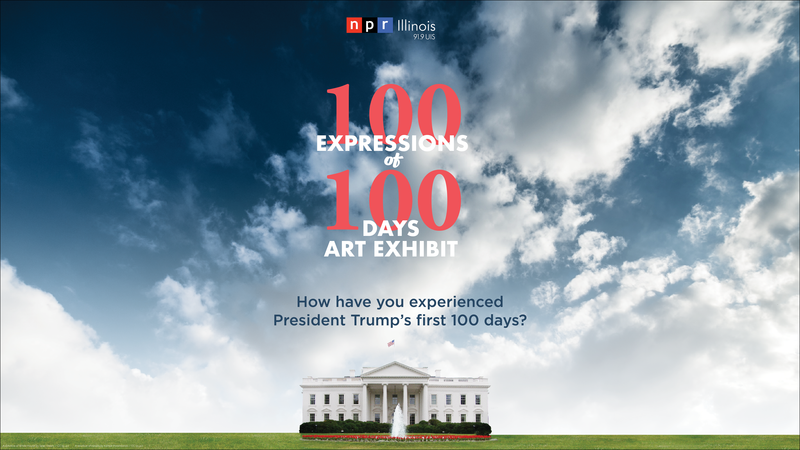 NPR Illinois will host an opening reception for the 100 Expressions of 100 days art exhibit on the 100th day of the Trump administration: April 29 from 4 - 7 PM. 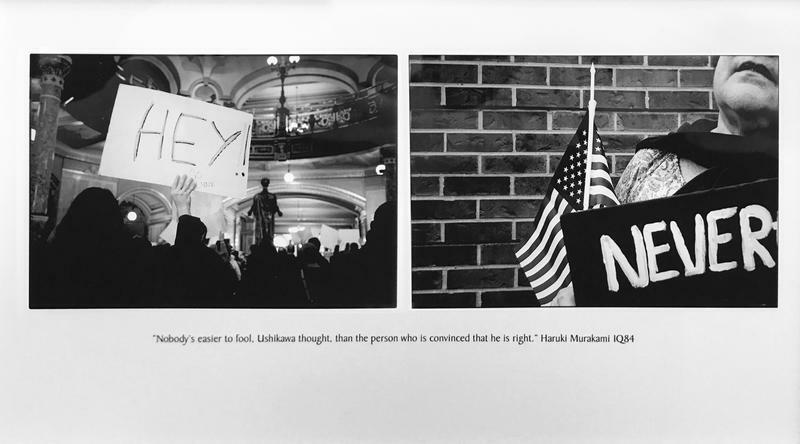 The exhibit will be held at the NPR Illinois studios located in the WUIS building on the UIS campus. Click here for a map. Attend the event and see how your community has reacted to the transition to a new administration. 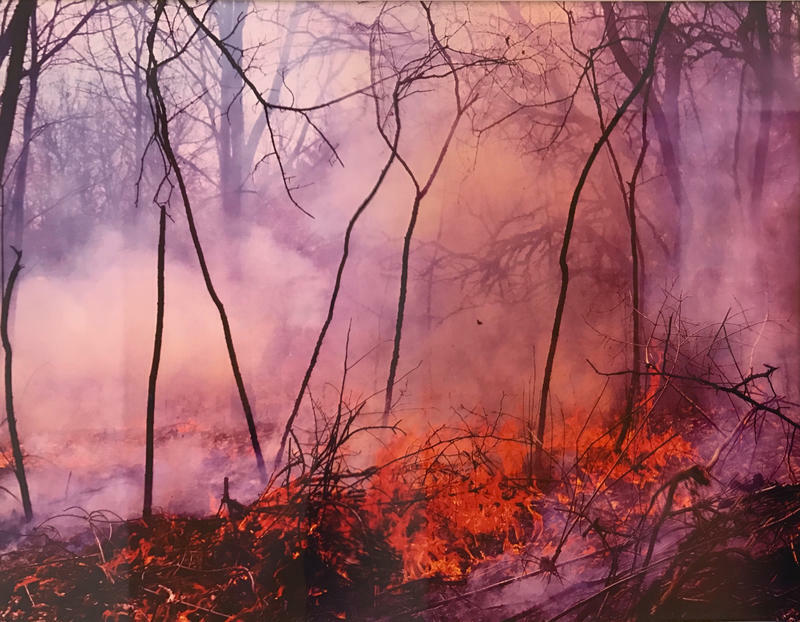 The exhibit will remain up until June 9. 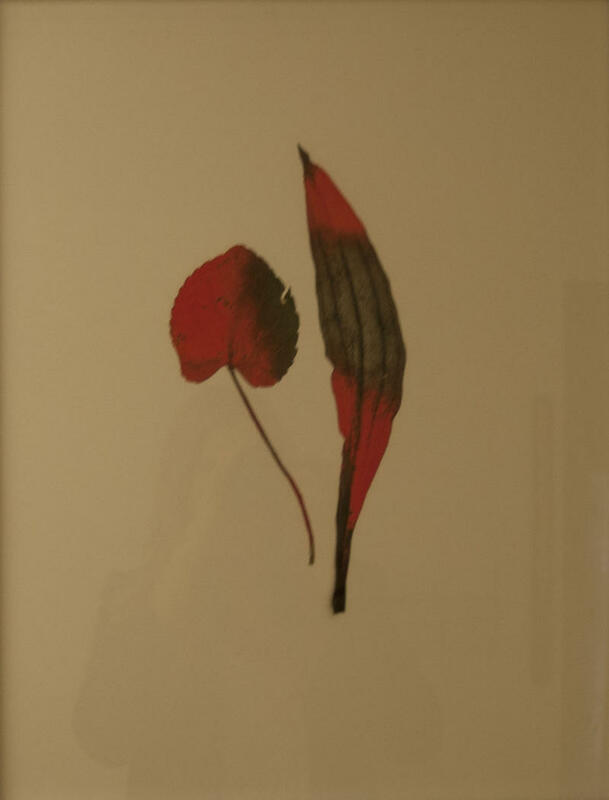 Stop by our studios any time from 9 AM - 5 PM to view the artwork. 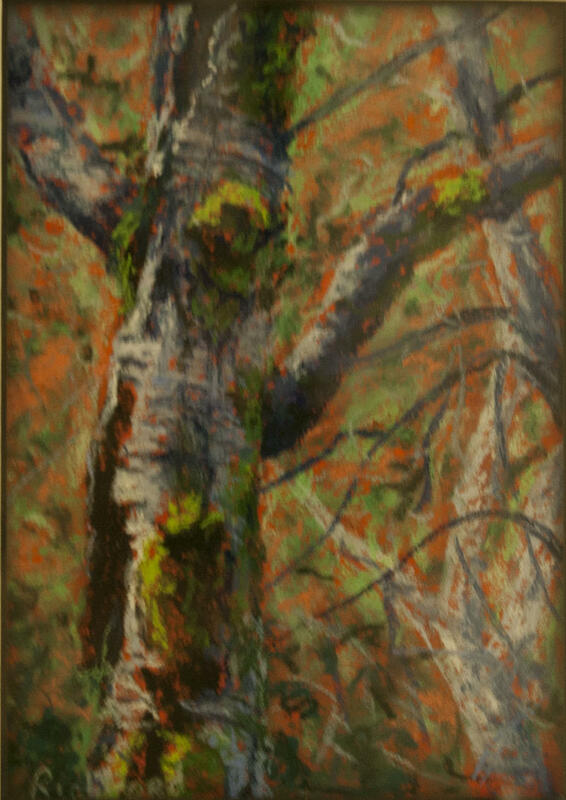 Brown and gray with colors running. UIS Sr. Photographer Shannon O'Brien's work can be seen throughout the campus and the community and is featureed each day on the UIS homepage -- UIS.edu. 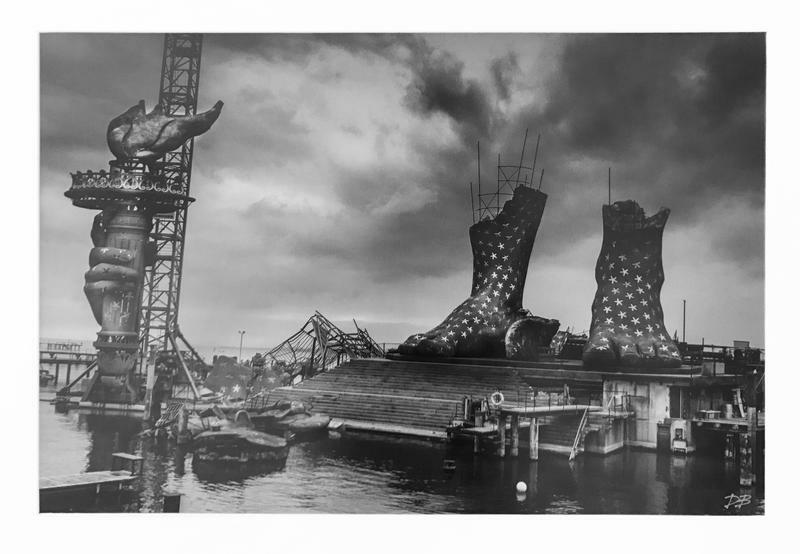 WUIS staff were particularly taken with this recent photo… you never know who might be looking! 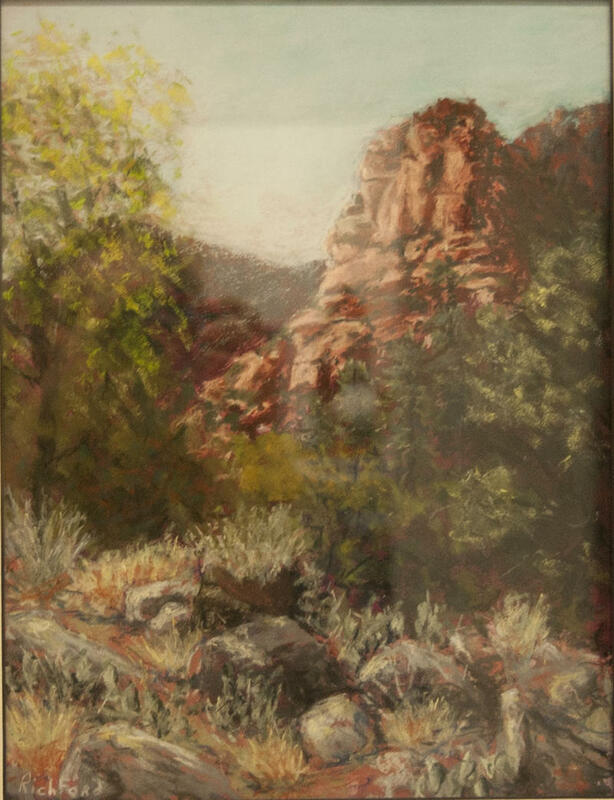 Sedona's high desert is a great place to find all kinds of shots for paintings. This one was out of town. In town is just as interesting. Big Red Rock everywhere. 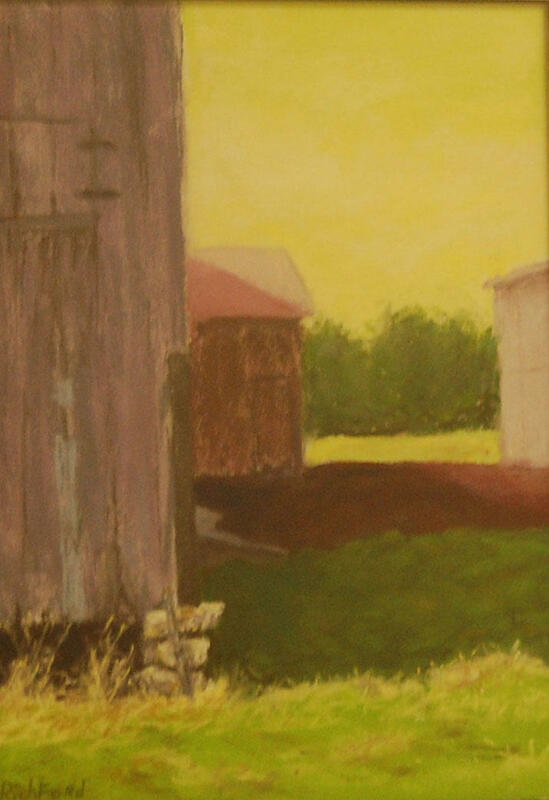 This particular barn is the one on the farm where I grew up. I've used it several times in different ways. They don't die. They change what they do for nature. Here growing moss.